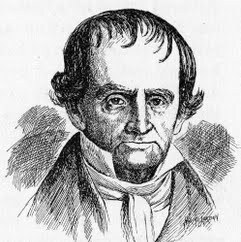 Joshua Stow was the founder of Stow, Ohio. His family originated from England in the 17th century, and included the first minister in Middletown, Conn., a Congregationalist. He married Ruth Coe in 1786; they had at least three children. The main histories of the area tell of his early journey in 1796-1797 as part of Moses Cleaveland's team, helping to survey the Western Reserve around the mouth of the Cuyahoga River at Lake Erie. The land to be surveyed was land that the state of Connecticut claimed as part of their original charter from the King of England. It was called the Connecticut Western Reserve and was given to the state as a settlement for that state's contribution to the American Revolution. It is still referred to as the Western Reserve encompassing a number of counties in the northeast corner of the state. Stow was the company's commissary manager. In actual practice Stow, as Commissary, was responsible for seeing that the survey party was equipped with clothing, equipment, food, drink and lodging. He was also a financial holder in the Ohio Land Company which conducted the land survey of 1796 of which Moses Cleaveland was the Superintendent.